The current state of affairs calls for a detailed look at the way British Columbians would react to the location of pot shops. A provincewide survey conducted this month by Research Co. shows some staggering differences. Political allegiance also plays a role in shaping views on the future location of pot shops. A sizable majority of British Columbians who voted for the BC New Democratic Party in the last provincial election (60%) have no qualms about a marijuana store being located a block from their home. 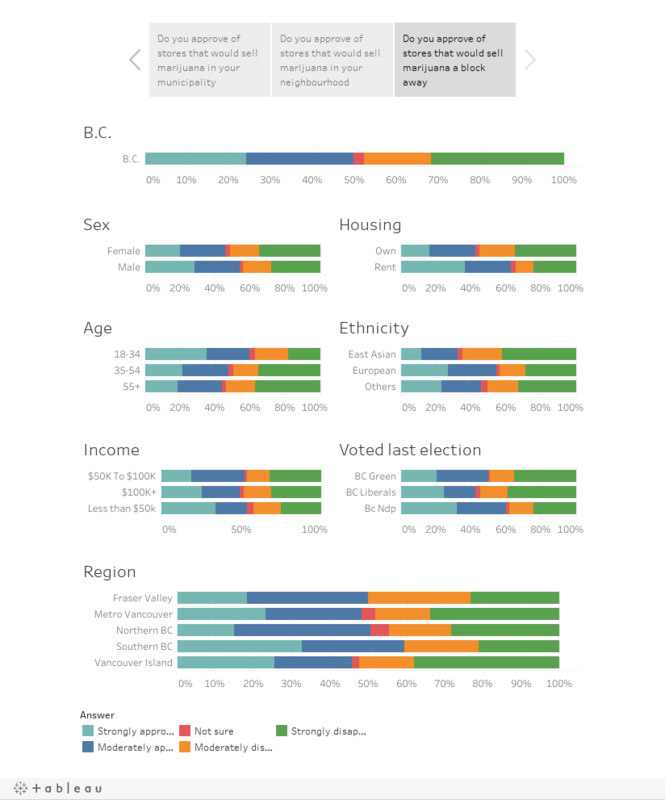 BC Green Party voters are staunchly divided (50% approve, 49% disapprove) and BC Liberal voters are more likely to object (55%).